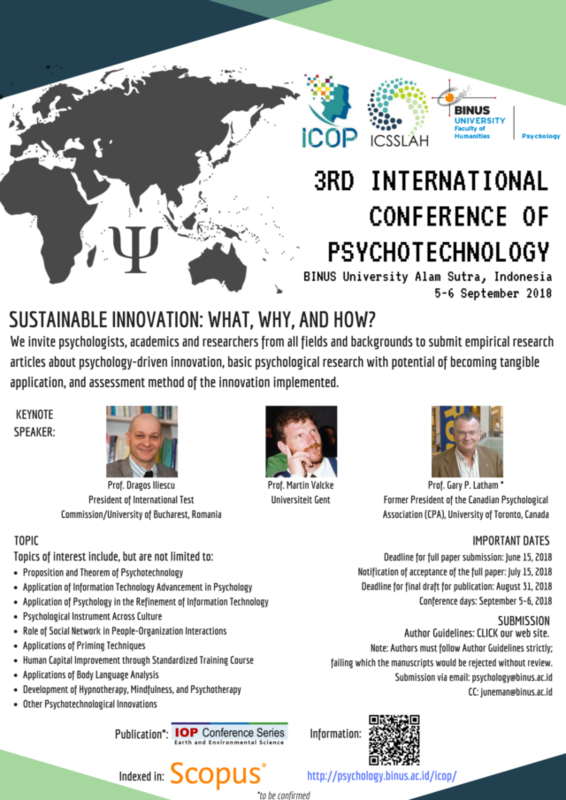 We invite psychologists, academics and researchers from all fields and backgrounds to submit empirical research articles about psychology-driven innovation, basic psychological research with potential of becoming tangible application, and assessment method of the innovation implemented. Dragos Iliescu is a prominent specialist in organizational psychology and psychological measurement, with a solid academic activity and practical experience and with a wide recognition in the international specialized community. He has had intensive consulting activities in hundreds of projects over the past 15 years, mainly focused on human resources projects. 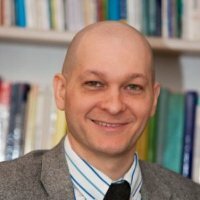 He has a serious and entrepreneurial experience: he is one of the founding members of the Psyence Group, which brings together a range of commercial services in the field of applied psychology, such as Testcentral, the Romanian psychological tests publisher, D & D Research, market and consumer research agency and others. He is the current president of APIO (Industrial and Organizational Psychology Association) and President of the ITC (International Test Commission). He is also a member of other international professional associations: SIOP (Society for Industrial-Organizational Psychology), EAWOP (European Association for Work and Organizational Psychology), IAAP (International Association of Applied Psychology) and ISSS (International Society for the Scientific Study of Subjectivity). Dr. Martin Valcke is full professor in the field of ‘Instructional Sciences’ at the Ghent University, Belgium and head of the Department of Educational Studies in the Faculty of Psychology and Educational Sciences. He has been and is being involved in a large number of national and international research and consultancy projects in countries of Africa (Uganda, Mozambique, South Africa, Zimbabwe), Middle America (Ecuador, Peru), and Asia (Cambodia, China, Vietnam). Next, he is regularly involved in activities and projects of the World Bank, the European Commission (Flexible Universities, Multi-Media programme, TEMPUS, Socrates, IST, FP7, …), and other international organisations. 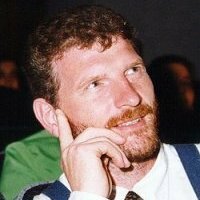 Next to his teaching and research activities at the Ghent University, he was an active member of the WTR (the Scientific Technical Council) of SURF (Dutch higher education and research partnership organisation for network services and information and communications technology WWW.SURF.NL ). Gary P. Latham is the Secretary of State Professor of Organizational Effectiveness at the Rotman School of Management, University of Toronto. From 1983-1990, he was the Ford Motor Research Professor, Business School at the University of Washington. He is widely viewed as one of the world’s leading experts in the field of organizational behavior and goal setting theory. His contributions to organizational behavior have changed the field, both theoretically and empirically. His work on goal-setting has made fundamental contributions to both the area of motivation and self-regulation and makes him a household name to students and scholars in organizational behavior In fact, if you are familiar with research on goals, you have heard people cite his name, perhaps in association with Edwin Locke, hundreds of times. You may remember their landmark article based on decades of their own and other’s research on goals in the American Psychologist: Building a practically useful theory of goal setting and task motivation: A 35-year odyssey. Download Author Guidelines for Conference Proceedings. Note: Authors must follow Author Guidelines strictly; failing which the manuscripts would be rejected without review. The authors receive and oblige to the terms and conditions of the conference upon the payment is settled. The committee will announce the update officially on the website and the registrants must follow the terms and conditions as stipulated. The fee includes conference program kits, meal during the conference, and certificate. Traveling and accommodation fees are excluded. Dr. Johannes A. A. Rumeser, M.Psi. Dr. Yosef Dedy Pradipto, M.Si. Dra. Lisa Ratriana Chairiyati, M.Si. 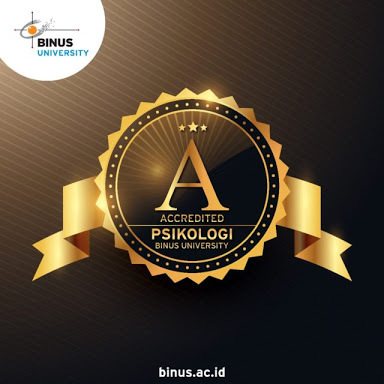 Angela Dyah Ari Pramastyaningtyas, Ph.D.
Aryo E. Nugroho, S.Psi., M.Sc. Pingkan C. B. Rumondor, M.Psi. Drs. Wing Ispurwanto, M.B.A., M.Psi. Andrea Prita Purnama Ratri, S.Psi.